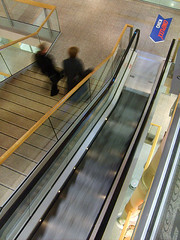 The Donauzentrum, also called the Danube shopping center, is located approximately three kilometers from central Vienna. It is the biggest center in area, covering more than 225,000 square meters and is the most diverse shopping mall in the area. It boasts over 260 shops and includes cinemas, an entertainment center, medical facilities and leisure activities, just to name a few. It has a variety of eateries, anything from low budget McDonald's to more classy and expensive restaurants. If you can't decide what to buy then you might be interested in visiting the Personal Shopping consultant, who will be only too pleased to advise you on your purchases. Parking is available and the complex is served well by public transport. This shopping center should cater for most of your personal needs and all this in the convenience of one central location. Be the first to write a review about the Donauzentrum! See below for more information. Have you already visited the Donauzentrum? If so, let everyone know what you thought about it by writing a review! No registration necessary. Just click here to start writing!